Comment: I have one section of gutter that leaks over my back stoop. It might just need to have the angle corrected. It's only one gutter that's a problem. It's about 12 feet long. Comment: Wind damage. Leader came ,loose and is hanging down,part of downspout (gutter) is missing, need gutters cleaned and leaf guard installed. Comment: Gutters and leaders should be replaced. Only the rear of home is 3 stories but there is an upper deck. Front and sides are only 2 stories. Should really look at it. Comment: I'm interested in receiving a free estimate for gutter covers installation. Kings Park Gutter Cleaning & Repair Services are rated 4.83 out of 5 based on 2,472 reviews of 33 pros. 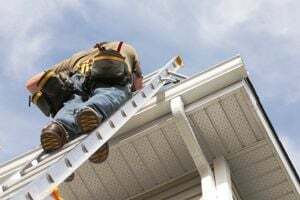 Not Looking for Gutters Contractors in Kings Park, NY?